The ALTA Board of Governors approved a recommendation to revise the ALTA Closing Protection Letters and adopt new Endorsements during an Oct. 10 meeting. The subject forms have passed through an industry comment period and are published in final form. Please note that comments were received and have resulted in changes to ALTA Endorsements 3.3[-06] and 3.4[-06]. Note also that ALTA Endorsement 34.1[-06] has been withdrawn from final publication for further development. Forms may be downloaded at alta.org/policy-forms. As always, the forms have been developed by the ALTA Forms Committee and approved by the ALTA Board. An opportunity to review and comment is extended to ALTA Members, Policy Forms Licensees, and industry customers before final publication. The forms, in general, are made available for customer convenience. The parties are free in each case to agree to different terms and the use of these forms is voluntary unless required by law. The Forms are copyrighted. 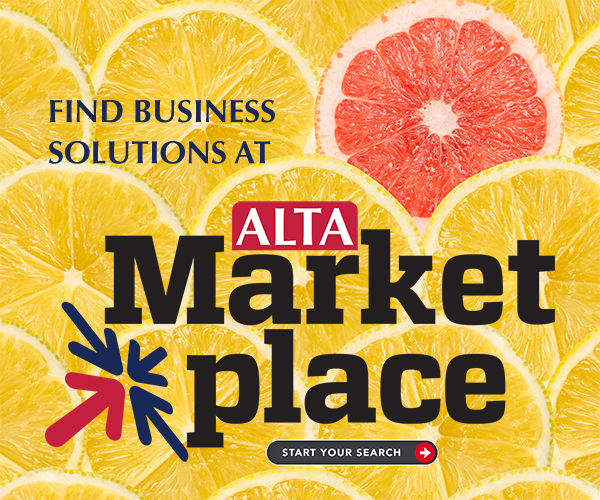 Use is restricted to ALTA Policy Forms Licensees (including ALTA members) in good standing as of the date of use. Those who are not ALTA members or Policy Forms Licensees may request permission to reprint by contacting service@alta.org. Clarification of the optional header details to add the Issuing Office and ALTA Registry ID. Clarification of Conditions and Exclusions to address wire fraud and related incidents. Clarification of Conditions and Exclusions to emphasize the prohibition of class actions should an insurer choose to exclude the optional Arbitration Clause. The revised CPLs provide more complete information and clearer coverage details for insureds as the industry faces the challenges of wire fraud. The revisions also more clearly emphasize the prohibition of class actions. These coverages are extended by insurers on a regular basis and standardization benefits both insurers and insureds. The Board approved a recommendation from the Forms Committee to adopt a new ALTA Endorsement 18.3 (Single Tax Parcel and ID). The committee determined that title insurance consumers are ordering the ALTA 18.1-06 endorsement (which is designed for multiple parcels) when the policy insures only one parcel because the more appropriate ALTA 18-06 does not identify the tax parcel number as the ALTA 18.1-06 and ALTA 18.2-06 do. There is a need for industry standard coverage for situations in which the insured wants the tax parcel number identified for a single parcel of Land. This endorsement has been withdrawn from final publication for further development. ALTA Endorsement 9-06 Restrictions, Encroachments, Minerals – Loan Policy (04-02-2012) has been corrected to align the text following paragraph 4.a.ii. for clarity. If you have questions or need more information, please forward them to the staff liaison for the Forms Committee, Kelly Romeo.